As we approach the Easter holidays and take dutiful time out to reflect on our year so far, it’s a good time to really rest and digest how much we have already achieved in 2019. Being with family and loved one’s gives us that sense of comfort and true joy by creating memories, and feeling more connected to them. Have you ever thought about how sharing your experience of yoga with them could make the practice even more fun? Although we may attend classes or workshops alone, yoga is very much about building community or “Sangha”, which means a community of spiritual practitioners in the Western world. This means that we can share how yoga makes us feel, how it changes our perception in a positive way, and how it is an inclusive practice whether it be with parent, child, brother or even grandmother or baby! The ‘Father of Modern Yoga’ Sri Tirumalai Krishnamacharaya one of the most influential Yoga masters in the twentieth century stated that yoga is for everybody, and that we can all benefit from the practice due to its therapeutic nature to heal and promote more balance in our body, mind and soul. He believed that not only can it heal, but it can prevent and treat disease through breathing, postures and meditation. As such, we can not only help ourselves, but also those we care about who may be in need of an alternative way to overcome modern issues like stress, anxiety, fatigue or sleep problems. So how can you help? Perhaps taking time out from your busy schedule to practice yoga, meditation and pranayama daily on a yoga retreat with your loved ones, and share the joy of the practice together away from distractions and the bustle of the city. As yoga becomes more and more accessible to everyone and even more necessary in the West, whether a child at school or a working Mum or Dad, it is a practice that can be shared with love, fun and excitement. 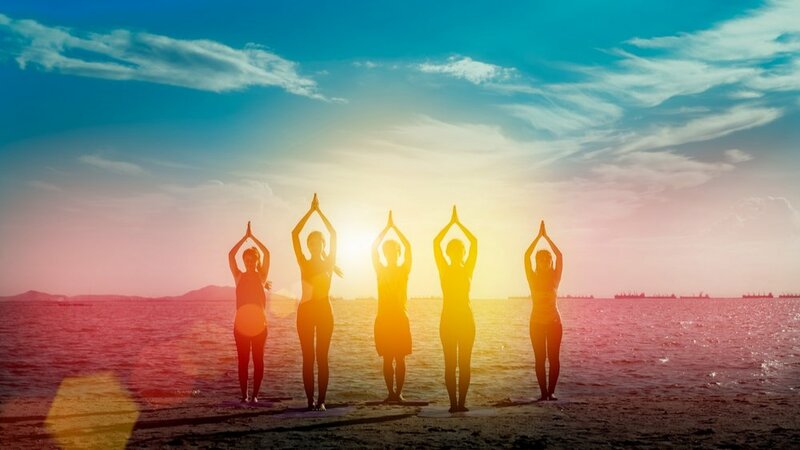 By practicing yoga everyday you can see changes in both body, mind and heart, and the next Ambika Yoga retreat takes place on the beautiful island of Ibiza perfectly located centrally North, away from any nightlife. So why not take some time over Easter to contemplate how a week-long yoga retreat could not only be beneficial for you, but also for your family or close friends, and make positive changes to your health and well-being this summer. Please contact Alexa at Ambika Yoga for a brochure and booking information, and wishing you a very Happy and Joyful Easter!